We are all familiar with influenza — the awful, achy illness better known as the flu. And anyone can get it. For most, the major symptoms of fever, sore throat, chills, cough, headaches, and muscle aches last only a few days. But for some, flu symptoms are worse — sometimes deadly. Those with chronic or long-term health problems are typically at higher risk of developing complications from the flu, such as pneumonia and ear or sinus infections. In fact, 226,000 people, on average, are hospitalized from flu complications, and about 36,000 die from the flu each year. Flu shots are also recommended for anyone who wants to reduce the likelihood of getting or spreading the illness to others. Because influenza can occur any time from November through May — often peaking in January or February — the ideal time to get a flu shot is in October or November. It takes up to 2 weeks after the shot to develop protection, which lasts up to a year. Most people need one dose of influenza vaccine each year. However, children younger than 9 who are getting the influenza vaccine for the first time should get 2 doses — at least 4 weeks apart — to be completely protected. As an alternative to the flu shot, the influenza vaccine is available as a nasal spray known as Flumist. The spray, however, is not for everyone. It is approved for people ages 2 through 49 who are not pregnant and do not have certain long-term health problems such as asthma, diabetes, or heart, liver, lung, or kidney diseases. A vaccine, like any medicine, could possibly cause problems, such as severe allergic reactions. Serious problems from the influenza vaccine are very rare, but mild problems from the flu vaccine may include fever, aches, and soreness, redness, or swelling where the shot was given. 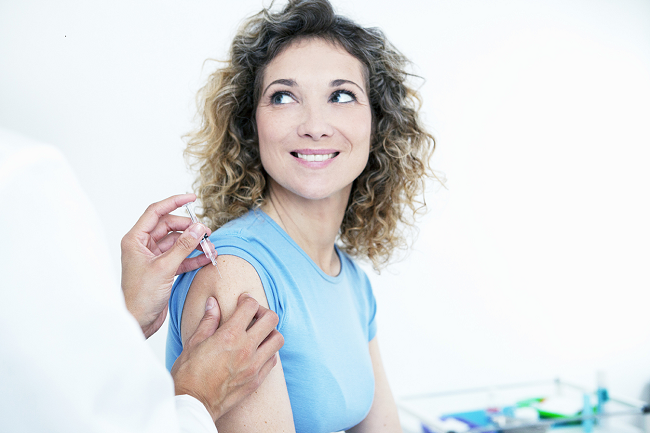 For most people, however, the flu vaccine is the best prescription for preventing the flu. For more information or to make an appointment with a specialist, call 423-778-2564 or visit www.erlanger.org.